For Julia Zanes, storytelling is a primary function of the human mind, which is reflected in the dreamlike narrative quality of her paintings. Her lush landscapes are filled with ethereal figures, birds, flowers, and trees, rife with symbolism and tangled meaning. 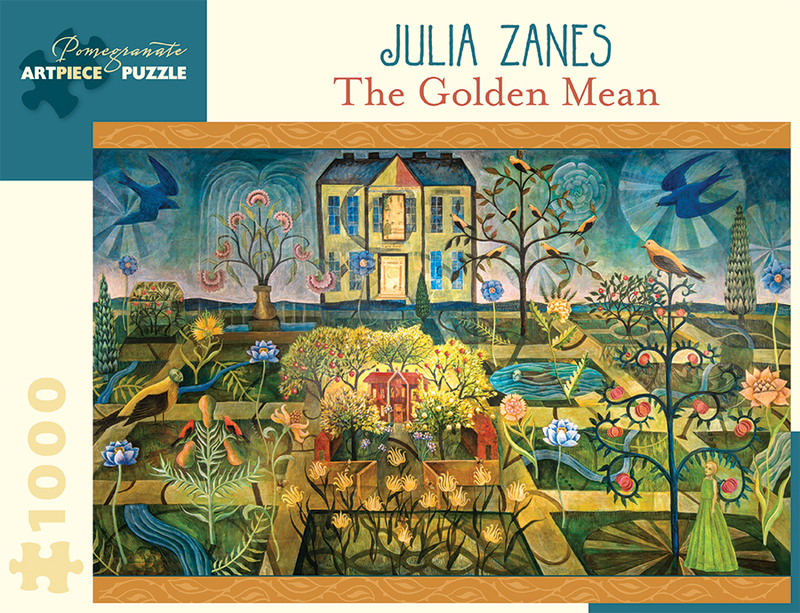 The size of the painting reproduced in this puzzle is the golden rectangle, also known as the divine proportion, often found in nature and believed to be aesthetically pleasing. 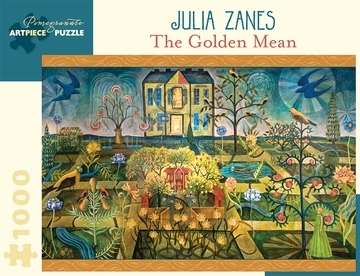 All the divisions in the painting (the horizon and the house, for example) are based on the golden mean, to create a sort of puzzle within a puzzle.